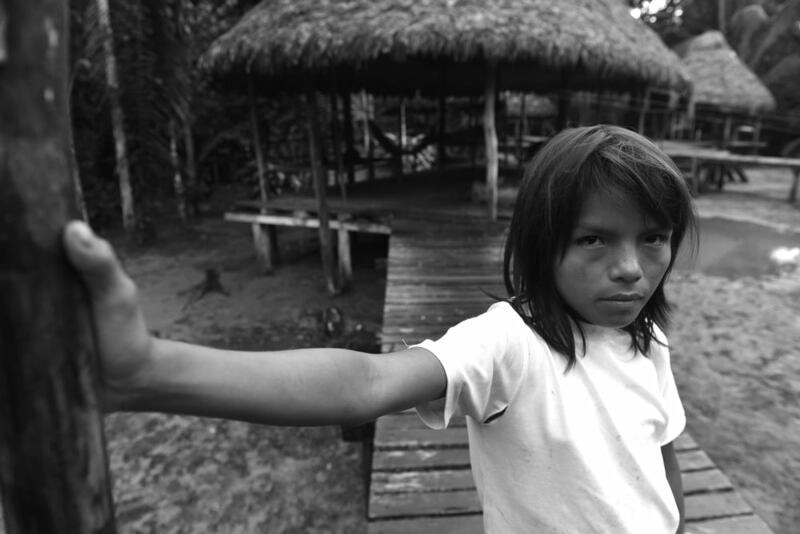 Join us on a life-changing, spiritual and cultural adventure deep into the Ecuadorian Amazon. Shamanic ceremonies, village life and a journey of self exploration await. Learn documentary portraiture using only the light seeping in from the Amazon canopy! Capture the essence of the Achuar people while learning so much about yourself. A truly unique and immersive cultural experience - living with the Achuar people of the Ecuadorian Amazon. Theirs is one of the world's most intact indigenous civilizations and the rainforest where they make their home is one of the most pristine primary forests. Be a part of real village life, daily traditions and sacred ceremonies! Soak up Quito, one of the most beautiful cities in South America - nicknamed 'the open air museum', then on to the Andean highlands to visit the Caranqui Quichau people before descending into the rainforest. The Pachamama Alliance works tirelessly with the Aboriginal people of the Amazon to help save their environment and way of life. Their "programs integrate indigenous wisdom with modern knowledge to support personal and collective transformation that is the catalyst in bringing forth an environmentally sustainable, spiritually fulfilling, socially just human presence on this planet." Orientation meeting before heading north to the scenic Andean region of Otavalo. Artisan market displaying the crafts and culture of the Otavalan Quichua people. On to San Clemente, an Indigenous-owned community-based project on the flanks of the Imbabura volcano. Explore this unique community’s approach to agriculture. the Andean cosmo-vision, a bonfire, followed by a cave cleansing ceremony! until we reach the gateway to the Amazon rainforest. We fly deep into the Amazon rainforest to the Achuar village of Chichirat and walk to the Bobanaza River for a beautiful canoe ride down to the village of Ti’inkias. Then we hike to the simple encampment built in traditional Achuar style that will be our home for the next three days and nights. Accommodations: Open-walled structure, wooden platform bed, comfortable mat and mosquito nets. Early morning dream sharing ritual with Achuar families followed by time in the village. Here they weave, make ceramic bowls etc. In the afternoon, we’ll explore a beautiful black water lagoon in dugout canoes, swim in the natural pool close by the community, and have an Achuar feast from local foods! with an elder Achuar shaman. river dolphin if we’re lucky. Evening night walk. We hike into the nearby Llanganates National Park, cloud forest and waterfalls! After lunch at Hacienda Manteles, we’ll drive back through the Avenue of the Volcanoes to Quito. camera equipment, waterproof hiking/walking boots, quick dry layered clothing, rain poncho, modest bathing suit. Comfortable Lodge and Haciendas, along with traditional hut and home stays, some strenuous walking, jungle/bugs/wildlife, sun, mud, rain. *Price includes accommodations, instruction, meals, internal transport (bus & remote return flight deep into the rainforest). Does NOT include international airline tickets, tips to guides/drivers, alcohol, and participation in optional ceremony.